As global cities continue to rapidly expand, how can we encourage equitable growth that would foster safe communities, sustainable development, and an increased standard of living for the world’s urban poor? The Future of Places forum (FoP) features three international conferences, national seminars, books, and reports in preparation for Habitat III. The forum serves as a collaborative platform and training opportunity for researchers, policy makers, advocates, and civil society focused on issues concerning public spaces. 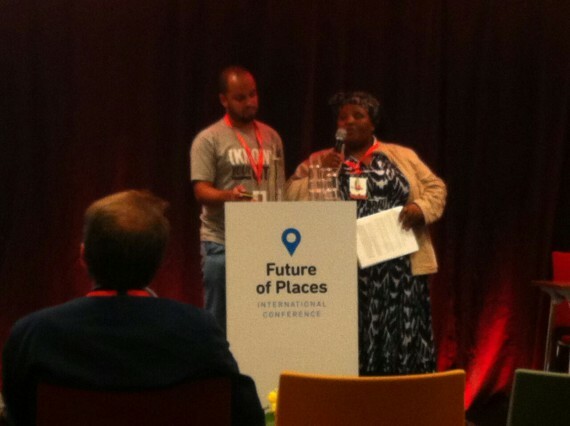 The SA SDI Alliance representatives joined the Ugandan and Zambian SDI Alliances in attending the third FoP conference in Sweden (29 June – 1 July 2015) that focused on ideas and desires for future urban spaces. The objective of FoP is to provide a platform for a multidisciplinary international discourse on the importance of public space and its potential impact on the New Urban Agenda for the 21st century in response to the Post 2015 Sustainable Development Goals (SDGs) and in preparation for the Third United Nations Conference on Housing and Sustainable Urban Development (Habitat III) in 2016. Habitat III presents an opportunity for innovative collaboration (or “international community”) to address contemporary challenge to urbanization. FoP was organized and funded by the Axel and Margaret Ax:son Johnson Foundation. Its collaborative partners are UN Habitat and Project for Public Spaces. The forum serves a network of over 500 organizations and more than 1500 individuals. 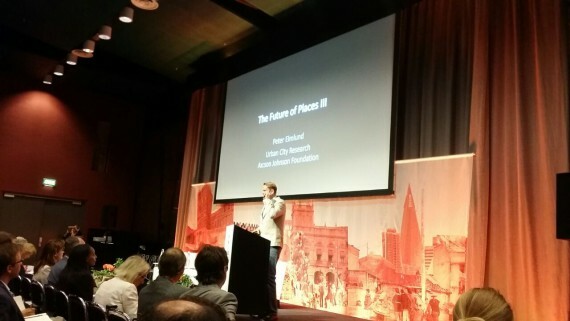 The first conference took place in Stockholm in 2013, discussing the importance of a “people centered” approach to urbanization. The seconded convened in Buenos Aires in 2014, examining “streets as public spaces and drivers of prosperity”. Evelyn Benekane (FEDUP coordinator Eastern Cape) and Charlton Ziervogel (CORC Deputy Director) present Flamingo Crescent Upgrading. The Alliance presence at the three-day conference offered a perspective of open spaces in informal settlements and highlighted the grounded experience of shack dwellers and the importance of their voice in global decision-making forums. The Ugandan community leaders gave a presentation on the potential growth within informal market places and market development. 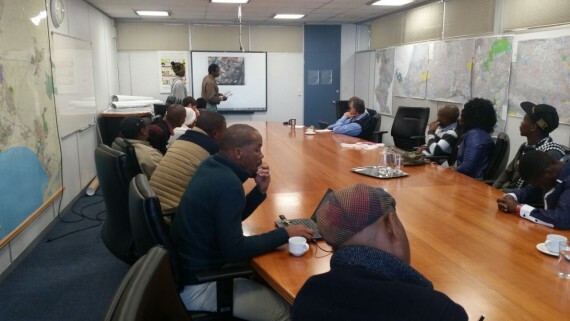 Community leaders from South Africa discussed the recent Flamingo Crescent upgrading project, which sparked the interest of urban planners, organizers, and policy makers from cities around the world. The presentation, and discussions that followed, also shed light on the reality that there is often an underrepresentation of shack dwellers in discourses and plans regarding space and inclusive cities. Such initiatives also tend to lack a strong presence in the Global South. 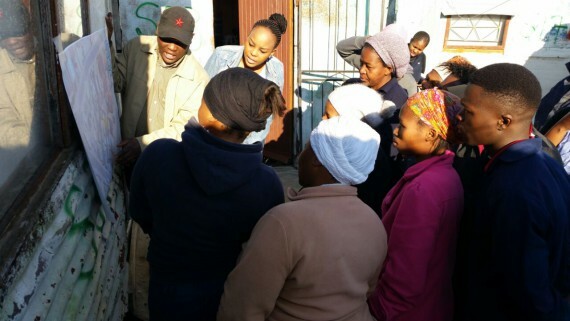 ISN community evaluates co-produced settlement design for community-led upgrading in Mfuleni, Cape Town. How can we ensure that shack dwellers play a foundational role in the articulation of threats, challenges, and potential solutions to urbanization? It is not enough for communities to simply be mentioned in the discussion. Instead they should mold language use to describe their realties. How can we understand and consider the realities of the Global South during international discussions and planning? How do we engage with shack dwellers to rethink concepts of space and access in growing cities globally? How do we bridge gaps between academia, civil society, policy, and communities during the inception and conception of the new urban agenda? How can communities of shack dwellers influence a global advocacy strategy? What indicators should we employ when measuring the success of our efforts? While the presence of shack dweller representation and community-based movements was lacking at Future of Places, the SA SDI Alliance intends to have a presence at Habitat III so that community leaders are in attendance to speak for themselves and their communities. Habitat III will set the agenda for urban concerns for the next 20 years. It is imperative that these platforms are used strategically and that shack dwellers are not forgotten in that agenda. Community leaders of Tambo Sqaure informal settlement in Mfuleni , Cape Town present their plans to the local municipality.